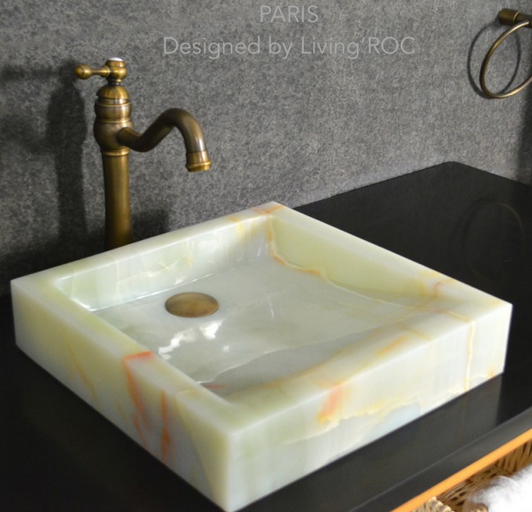 LivingRoc USA-The Blog: Why granite? Granite is a natural material commonly used for kitchen worktops. Less fragile than marble or travertine, second hardest material, diamond being first. This subject speaks in volume about its reliablity in a bathroom! - A hard material and heat resistant and aggressive agents (protection is still recommended). - Very low permeability = dirt is kept out! - Durable, long preserves its natural glow. Time and years will have no impact on its original beauty. - Requires no specific maintenance (available cleaners, without abrasives). 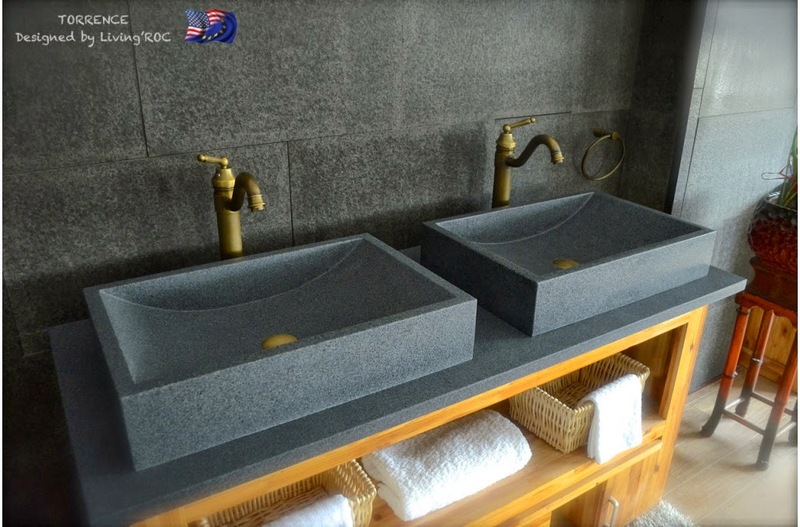 Learn more about our other models of granite vanity top vessel sinks.